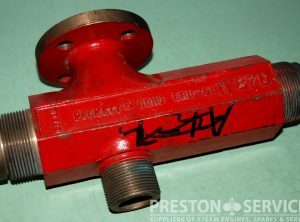 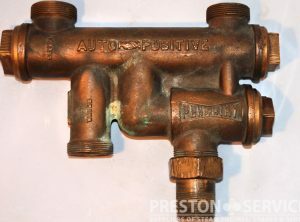 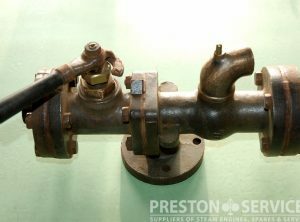 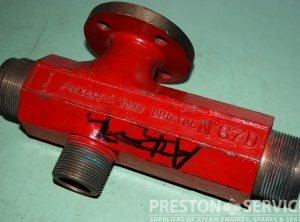 A backhead fitting injector suitable for a Sentinel, Foden or other steam wagon, or a locomotive. 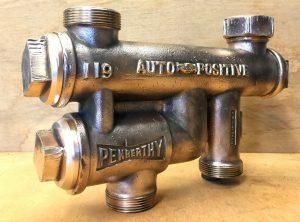 A Penberthy Model 119 “Auto-Positive” boiler feed injector. 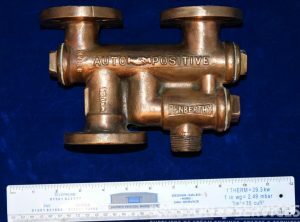 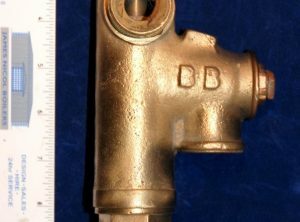 1/2″ BSP injector by BB, on the lines of a Penberthy “Style 3”. 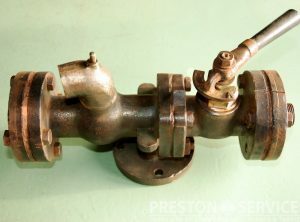 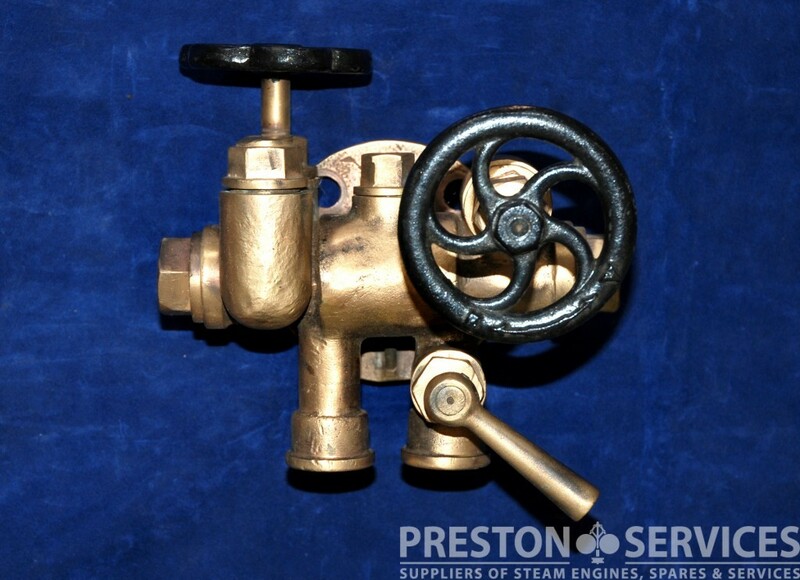 A locomotive injector in heavy cast bronze. 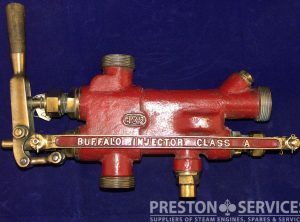 A large, high quality injector suitable for a steam locomotive or large ploughing engine. 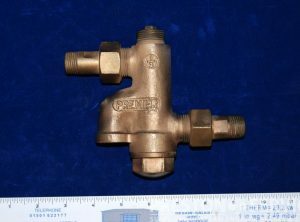 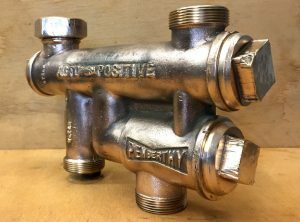 1/2″ BSP injector by Premier, on the lines of a Penberthy “Style 4”. 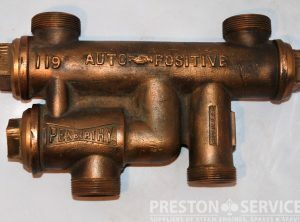 A Penberthy Model 155 “Auto-Positive” boiler feed injector.